A Premier League footballer paid £100,000 for a car which never arrived, a court has heard. 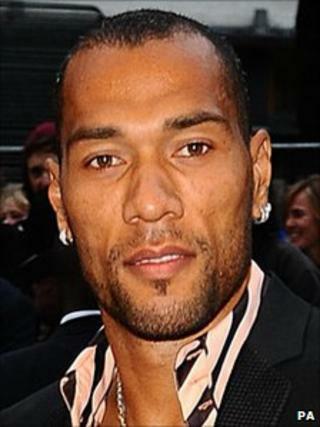 Aston Villa's Norwegian international striker John Carew told Birmingham Crown Court he had paid the money for a Porsche Cayenne Gemballa. He said he paid a further £50,000 for modifications to the car. Richard Esprit, 43, of Staines, Middlesex denies three counts of fraud and two of theft, between March 2007 and April 2008. Mr Carew said Mr Esprit, of Ouseley Road, promised to have the car delivered to him in Norway, but disappeared when it did not arrive. The Villa star said he transferred a £20,000 deposit and a further sum of £80,000. He also said he had instructed Mr Esprit to sell his BMW M6 for him and put the proceeds of the sale to fund modifications to the Porsche. In March 2007, he said he had been told the car would be ready in eight months. In the meantime, he had been given a black version of the car to use while he waited. "That tricked me into trusting him," Mr Carew told the jury. The pair met in April or May 2008 and Mr Esprit told the striker the car was about to arrive, the court heard. Mr Carew said: "I'm a positive person and I still believed, even though it was kind of chaotic, I chose to believe that I was still going to get my car." The case has been adjourned until Wednesday.